Will Waxman Get His Way? Democrats on the House Energy and Commerce Committee worked late into the Washington night in their attempt to fast-track a 1,000-page energy bill without adequate debate. 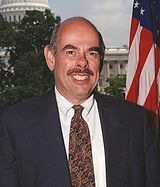 Essentially, this energy bill, pushed by Committee Chair Henry Waxman (D-California) and Representative Edward Markey (D-Massachusetts), would establish a cap and trade on carbon dioxide emissions and would increase electricity rates for consumers across the nation. According to CNSNews, Waxman intends to ram the legislation through committee and “to conclude consideration of the legislation” by today. Republicans object that there has not been adequate time – less than one week – to review the bill which is nearly a thousand pages. Additionally, the minority party is concerned that the public is not aware of what this bill would do and its consequences to their wallets. “Pass it now! Explain it later,” is how Representative Joe Barton (R-Texas), the Committee’s minority leader, describes Waxman’s tactics which include bypassing an important subcommittee which would address the bill’s impact on industry. Barton and other Republicans are accusing Waxman of jamming the bill through before lawmakers or the public know what’s going on “to skirt serious debate” on the bill, according to CNSNews. A recent Rasmussen poll shows that less than 25% of voters even know what “cap and trade” is and that it has to do with environmental matters. With these low numbers, there is justified reason to be concerned about quickly pushing legislation like this through Congress since the American public is not completely aware of how this policy can affect energy prices including for electricity.